Tonight..N wind 5 to 15 kt. Wind waves 2 ft or less. Fri..Variable wind to 10 kt becomi5ng nw 1 to 25 kt in the afternoon. Wind waves 1 ft or less building to 2 to 4 ft in the afternoon. Fri night..NW wind 15 to 25 kt becoming sw after midnight. Wind waves 2 to 4 ft. A chance of showers after midnight. Sat..NW wind 10 to 20 kt becoming N in the afternoon. Wind waves 1 to 3 ft. 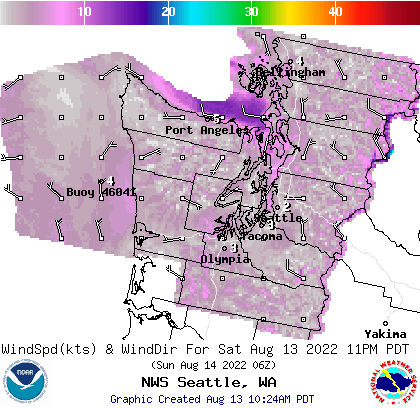 Sat night..NW wind 15 to 25 kt becoming S to 10 kt after midnight. Wind waves 2 to 4 ft subsiding to 1 ft or less after midnight. Sun..Variable wind to 10 kt becoming N 5 to 15 kt in the afternoon. Wind waves 2 ft or less. Sun night..N wind 5 to 15 kt easing to 10 kt after midnight. Wind waves 2 ft or less. Mon..N wind 5 to 15 kt. Wind waves 2 ft or less. Tue..N wind to 10 kt. Wind waves 1 ft or less. Synopsis for the northern and central washington coastal and inland waters..High pressure will give moderate northerly flow to the area tonight. 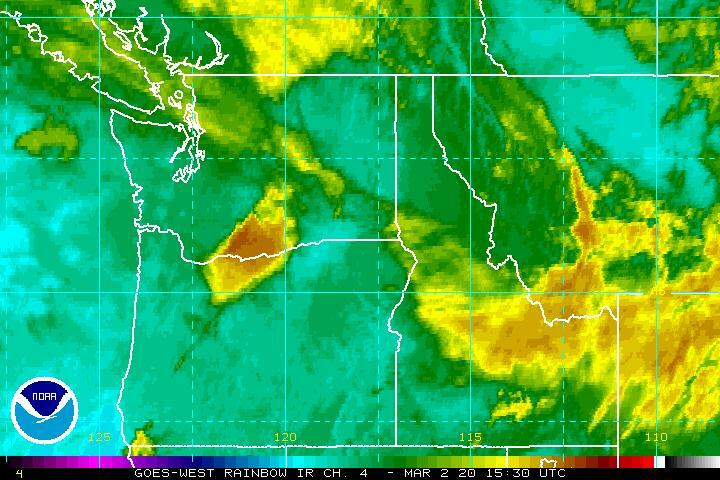 Onshore flow will become strong on Friday as pressures fall east of the cascades. Onshore flow will diminish on Saturday. Moderate northerly flow is expected behind a front on Sunday. day. Highs Saturday will be in the 50s. u.S. Waters strait of juan de fuca-east entrance u.S. Waters strait of juan de fuca. juan islands-puget sound and hood canal. west entrance u.S. Waters strait of juan de fuca.